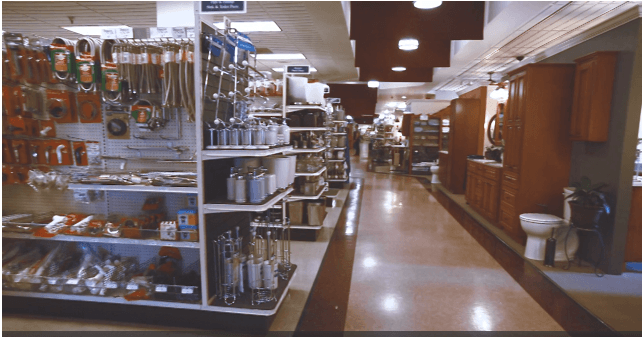 Welcome to Rollier’s Hardware a family owned and operated business in the heart of Mount Lebanon, Pa. For over 50 years, Rollier’s has provided exceptional customer service along with quality name brand products to get the job done right the first time. Our open atrium store provides a shopping experience unlike any other hardware store in the area making browsing our store a unique and enjoyable experience. Fantastic service, over the phone and in person. I had an issue that was estimated at over 100$. The nice folks at rolliers got me out of the door for less than 5$, can't thank them enough! You could easily lose track of time in Rollier, there is so much to see! It's very clean and organized, and the staff are friendly and very knowledgeable. I typically go in for garden supplies, but browse in a few of the other departments. We went there for the first time to look at the big green egg. What a great place to shop. Super knowledgeable staff and very, very helpful. Ended up picking up a large green egg on the spot. Really thorough and professional from purchase through delivery and setup. Cathy helped us in the store and Derrick and Rick were great scheduling delivery and coordinating everything. Thanks for a great experience and we'll be back soon. Rollier's is my go-to place for almost everything but clothes ( excluding Carhartt ) and food ( altho, in a pinch they do have a little mini mart ). The owners are very picky about the products they bring in and I really appreciate that. The folks at Rolliers are knowledgeable and very helpful. This is the place to go. And parking is in the back of the store.